Thank you so much Kasey for the review. Much appreciated! We enjoy this community & the way it's managed so much that we moved into a 2 bedroom after our 1st year lease was up & intend on settling in here for next few years! great quiet place to live. Office is open good hours and staff is very helpful. Any maintanence issues are taken care of immediatly. Lovely laundry facility. the salt water pool is very nice and well maintained. The dog park has a great agility course. very pet friendly. I love living here! Amazing apartment community as well as an amazing staff. I actually lived at canyons and moved away, only to move right back! It just feels like home! I think it's due to the staff choosing awesome residents! My neighbors are a wonderful group of people. We all look out for each other and I feel very safe here. Give them a try, you won't be disappointed! 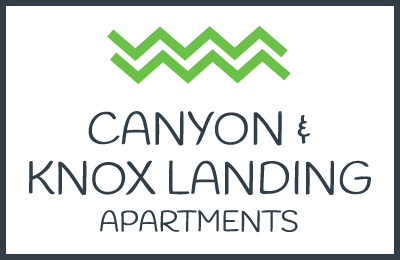 Canyon is a nice place to live in if you're looking for something cheap and within budget. The office staff is very friendly and helpful, and the environment is very nice. The only complaint I have is that the laundry facilities run off of a specific card that you pre fill and then use to pay for the load. These cards are inconvenient, especially if you run out of money on them and have to refill them, but you can't after the office is closed because the pay/fill kiosk is inside the office. Great apartment and location. It's convenient, and I'm loving it so far. I love that it's pet friendly, and my dog loves the dog park. I haven't tried the pool yet, but I love the amenities. The staff here is very helpful and go out of their way to make you feel at home. Apartments are spacious and reasonabley priced. Great pool! I have really enjoyed living at The Canyon. Everyone is very nice and I really feel at home here. It's always nice and quiet. I have no complaints! The apartment seems pretty nice. The staff is friendly and overall the complex is relatively quiet. I love quiet and quaint atmospheres. It's a good place for a student. Been a resident for 4 years now and have loved every minute of it! Ready to renew my lease for another year! It's quiet, clean, and all of my neighbors are wonderful! The application process has been so easy! And the grounds are so nice. Definitely the best apartments around! There wasn't another apartment complex that offered the size, price, and amenities we wanted. Lived at the Canyon Apartments 4 years now. I wouldn't live anywhere else. The office staff and maintance workers are more like my family, than just people I rent from. My husband passed away 18 months ago and I don't believe there is anywhere else to live that I could feel any safer. Anything that goes wrong at the apartment is fixed that day. Thank you so much Brenda! We feel like you are family as well and couldn't imagine you being anywhere else!!!!! Awesome friendly staff, maintenance is a quick and no headache experience. Washer/dryers take credit cards! New vending machine for sodas is a big PLUS (also takes credit/debit). This is a great community to live in. Everyone is nice and love the pool. The only thing I would say bad about is when we were having ac problems and had a very large power bill Kub put on the complex to fix and complex wouldn't do anything about it. Thank you so much for taking the time to review us. We love that you love living here and continue to do so. We value all the feedback so that we can improve where we need to improve. The A/C was fixed but unfortunately the few days or it running harder wouldn't effect the billing too much but we can always try to make it right somehow. We have lived here for 10 yr. A great community for people and pets. Well kept landscaping. Friendly and fast maintainance staff. Office manager and staff always ready to help. Thank you so much for the review!!!! We couldn't imagine your family not living here. It just wouldn't be the same!!!! Excellant. Your service and maintenance has been outstanding. Everything is clean and well maintained and if there is ever an issue it is fixed almost immidiately. Thank you so much for the review! Hopefully we will see you soon! The staff has been wonderful from the start. If there is ever a problem it is sure to be fixed very quickly, they also clearly work hard make sure that the complex is a nice and clean place to live.